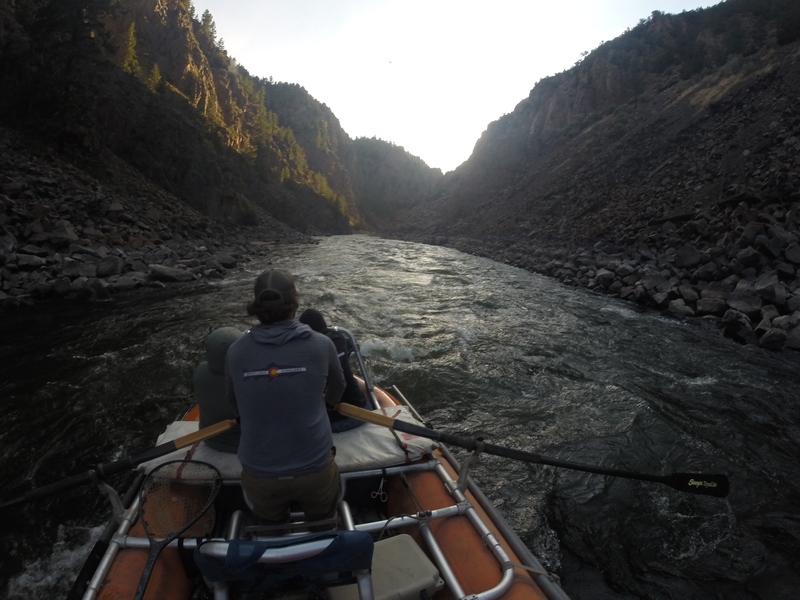 The curriculum is designed for you to become an efficient float guide on the challenging mountain rivers of Colorado. Being able to effortlessly maneuver a boat while people are fishing is an art, doing it safely is mandatory. 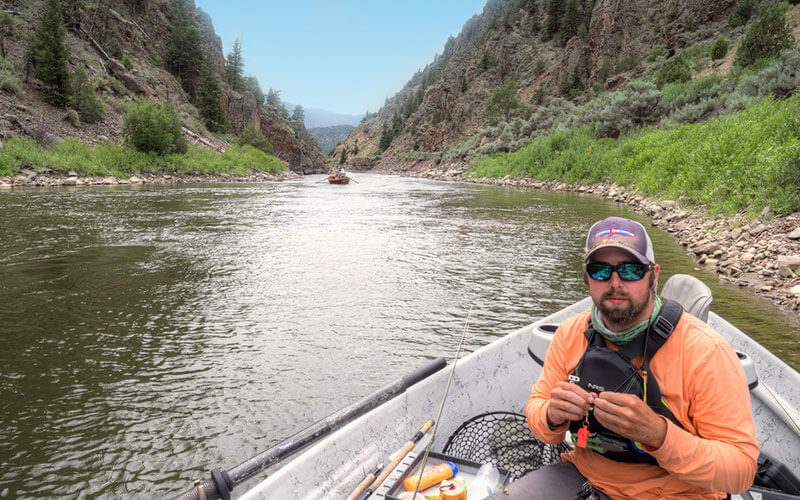 Every safety aspect of floating for Minturn Anglers is covered, from life jacket requirements, repair kits, rigging, first aid, whitewater rescue, and weather situations. Rowing a drift boat or raft for fishing is hard work. 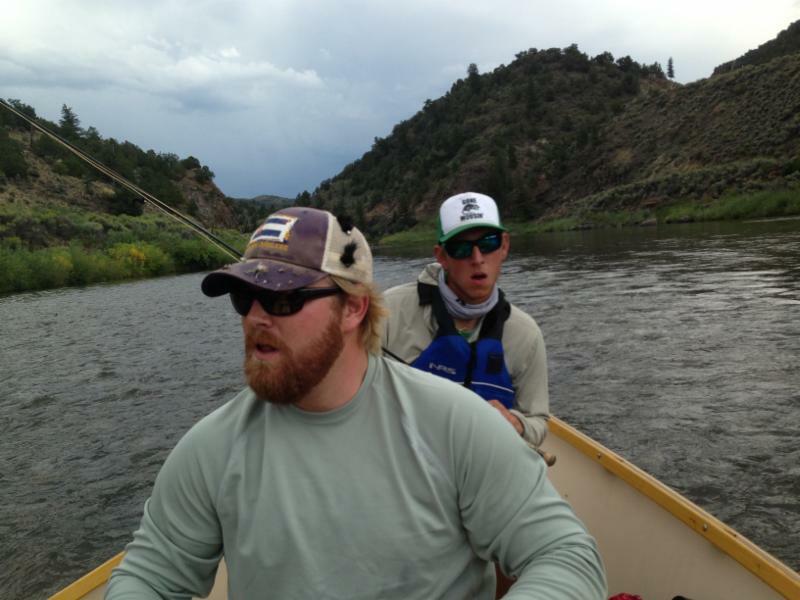 Being mentally and physically fit are a requirement and we expect all participants to consider this before taking on the challenge of being a float guide in Colorado. Classes are held Monday– Friday and most days are 10-12 hours long and it is not uncommon to cover 12-20 miles each day on the river. Being prepared is paramount. A fully equipped dry bag, food and large quantities of water are required by each class member. Life jackets can be provided.